Like every avid reader, each books make a mark. For me, Pride and Prejudice has been a constant source of hope, belief, and faith. Hope that things do fall into pieces. Belief that fairy tales can and do happen even to women who set their standards higher than they ought. Faith in love; that someone will love you for who you are, imperfections and all. Unfortunately, I lost that book. I only have the vaguest idea how. I noticed it missing a few weeks before we moved to my new house and I was quite hopeful that it might turn up during the cleaning process. Unfortunately, it didn’t. I probably lost it during one of my sojourns to the city. I must have left it oa a bus or a restaurant. I only wish that I can still find a copy of that book in Book Sale. I must note that a friend offered to send me her electronic copy of the book. I politely decline. I still love the reading printed books. Emma Woodhouse revels in being the finest lady in Hartfield. After her governesds/tutor marries, she takes into her wings a girl with an unknown background and turns her into a lady like herself and strives to find a suitable match for her. Unfortunately, our heroine is poor at matchmaking. In the end, the girl marries the guy Emma initially didn’t approve of and gets married herself. Jane Austen is one of my favorite authors. I never tire of reading her novels. 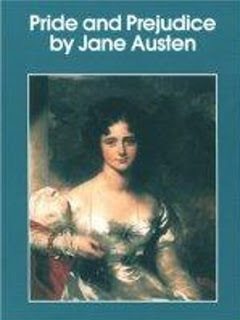 But among her works, Pride and Prejudice tops my list. Next would be Emma. What I really like about this early 19th century novel is the fact that all the characters were properly developed. Emma Woodhouse, a spoiled, rich girl, is made endearing by her protective love of her father and her constant efforts to be agreeable and pleasant to be everyone about her. Mr. Woodhouse, her dad, is slightly annoying with all his eccentricities. I found Mr. Knightley to be a very good friend to Emma for he alone saw her flaws and caller her attention to it. And I must not forget the babbling Miss Bates, who can outtalk anyone with her “small” talk. For all fellow book bloggers out there, BC Bloggers 4 is now accepting members. This blogger network is good for creating quality backlinks to your blog, which we all know to be important if you want to get a Google Page Ranking. Just check out the following posts for the full instructions on how to join this blogging network. Real estate agent Lacey Farrell bears witness to the murder of Isabelle Waring, mother of the late actress Heather Landi. She was placed in a witness protection program but her emotional state led the killer of Isabelle to her newfound home. She must now flee from new identity and take control of her life. Another gripping novel from Mary Higgins. I have always enjoyed her stories and this one is no different. It's an easy read; no complicated legal or real estate stuff to digest. Plus, you also get drawn to the whodunit game, which is very easy by the way. I figured early on who the mastermind was. The good thing about this book is that you can watch it brought to life! A TV movie was released in January 2002 and it starred Emma Samms as Lacey Farrell. You can find out more about the TV movie at IMDB. Where did I buy my copy? A Yale-educated Korean aristocrat finds herself disinherited and neck-deep in debt. To pay off her creditors, she joins a Russian ogresse's international harem of blue blooded courtesans and sinks into more debt. Irritable bowel syndrome caused her to fall out of favor with her rich lover but more in love with her penniless boyfriend. But soon her boyfriend discovered her secret life as a courtesan and she is forced to return to Korea with the impending death of her cousin. There she discovers a dark family secret that questions her nobility. This book reminds me of Gossip Girl, though the plot has no similarity at all with the series. Perhaps it has something to do with the fact that the characters in the book find it so easy to lie and deceive other people to get what they want. Spinoza reminds me so much of Dan Humphrey -- brooding and intelligent. Never scratch or pick your nose in public. Courtesans do not ask for money. They wait to be given. You're never really an aristocrat if you do not know to play at least one instrument and do not speak a foreign language other than English. Egyptians like to keep in the family, i.e. sisters and brothers have a go at each other to keep the bloodline pure. One more comment: Author Y. Euny Hong just can't resist giving our heroine a happy ending. What do you get when you combine self righteous psychologists and ex-cons? Medi-Cal fraud and body count. To uncover the fraud, Detective Milo Sturgis and Dr. Alex Delaware had to make sense of the family dynamics of the Quicks and untangle Dr. Mary Lou Koppel's relationships with the men in her life. This is probably one of his boring books. It took me a week to finish this one, when I would have normally finished an Alex Delaware novel in less than two days. It's like watching a talkies film -- too many talk and not many action. But it's a great testament to the bond between Sturgis and Delaware. It has an interesting twist, though. Former snipers make good mercenaries and lovers, but poor husbands. Speaking of husbands, Delaware's former live-in partner makes a cameo appearance which unnerves his current lady love, Allyson. If you're interested in committing Medi-Cal fraud or just running a scam with ex-cons, here's a book for you. "That's what I love about my job. I get to make sense . Then when I get home, I'm an idiot." "Flexibility is the hallmark of maturity." Booksale for only 35 pesos. I want a Sony Pocket e-Reader! I've always been a fan of printed books. When I learned about Project Gutenberg before, I was ecstatic because it gave me access to really old books. But what bugged me was that I had to use the desktop or the laptop to read a book. That's really inconvenient for someone like me who likes reading books in the bathroom and in public transportation ( I know it's bad for the eyes but I can't help it!). So thank God e-readers are invented. However, they're still to pricey for me. But I am hoping to win one courtesy of Monica S. of Bibliophilic Book Blog. She is giving away e-readers for followers of her blog. Hopefully, I get the Sony Pocket Reader! This will entertain me as I wait for my daughter Gabby to finish her classes. If you want to join, just visit her blog by clicking on the button below. I remember picking up my very first Sweet Valley book at a local wet market's booksale when I was in Grade 4. Since then I have become hooked on reading the point that I forgot my chores. My mom, happy that I was reading like voraciously, patiently reminded me that my books would not go anywhere. By the time I reached Grade Six, I was secretly reading my mom's Sidney Sheldon books. Somehow, Sweet Valley didn't appeal to me anymore. Sidney's books had more substance and they had, uhmm how should I sat this, hotter scenes that no mother would want her 11 year old daughter to read. Fortunately, my mom was more amused than mad when she found out I was reading Sidney. By my first two years in high school, my mom and I were pretty much reading the same books. Judith McNaught and Jude Devereaux became constant my constant companions, apart from Sidney Sheldon. My mom prevented me from reading Tagalog romance pocketbooks that were so popular during that time. To her dismay, however, I got hold of such books from my classmates. I could finish two such pocketbooks while in class. At one point my History teacher caught me. Fortunately, she was also holding a copy of a Tagalog pocketbook so I got off the hook. The only thing she asked me to do is to loan her the book after I have finished reading it. Oh well, more reading anecdotes later on!